One condition for obtaining God’s strength in our weaknesses is humility. Trust grows out of faith but it is strengthened by the virtue of humility. In reality trust and humility are inseparable. We count on God and trust more in his grace and strength than in our own abilities. This is a sign of humility. The image of humility is water. Water’s movement is always slow, down near the ground, it always seeks the lowest level. A humble person knows that all that is good in him and around him comes from God. He recognises his limitations, weaknesses and his dependence on the Creator and the Heavenly Father. And consequently he puts his trust in God’s wisdom, power and merciful love. St. Faustina said: “I will thank the Lord Jesus for every humiliation and will pray specially for the person who has given me the chance to be humiliated. I will immolate myself for the benefit of souls. I will not count the cost of my sacrifice. I will cast myself beneath the feet of the sisters, like a carpet on which they can not only tread, but also wipe their feet. My place is under the feet of the sisters. I will make every effort to obtain that place unnoticed by others. It is enough that God sees this” (Diary 243). The world around us tends to trust in itself alone. It often tempts us to keep decisions and solutions in our own hands. To be masters of our lives. The test of our humility is our inner conviction that everything is given to us by God, thanks to His mercy. We do not regard it as our merit. We live on God’s Mercy. Everything is God’s gift. Our good deeds on the one hand are our merits but on the other hand are God’s graces. Everything that we do could be compared to a gift or present bought by children for their parents. But bought by their parents’ money. Such money, which we are granted by God as well as our health, talents, face, legs, hands, hearts in fact everything. We express such a humble attitude by being grateful to God in our prayer. I assure you of the constant daily prayer of the priests of the Congregation of St Michael the Archangel for all our readers and their families. 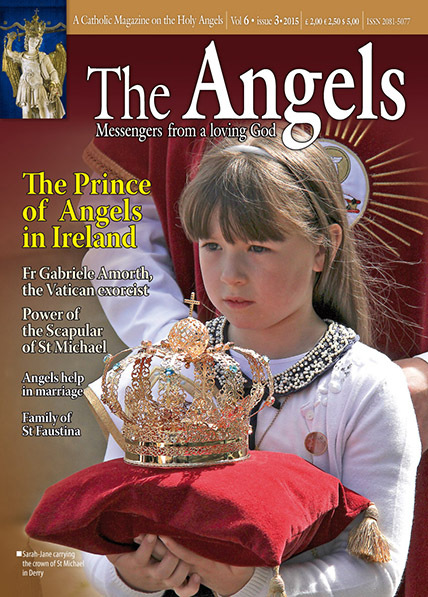 Please let others know about this magazine and help us to distribute it all over the world.God bless you.